To obtain a certificate or letter of attendance, please email certificates@aiche.org. The 2016 Institute and Board of Directors’ Award winners were given at the Honors Ceremony at the Annual Meeting in San Francisco. These are among AIChE’s most prestigious awards, honoring eminent chemical engineers for career accomplishments, service to society, and service to the Institute. See details and photos! 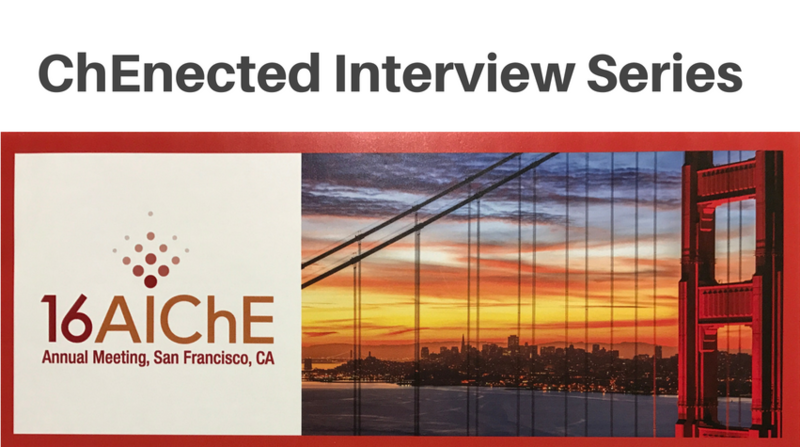 Watch video interviews conducted with award winners, attendees, and speakers at the 2016 AIChE Annual Meeting and Annual Student Conference in San Francisco. Are you looking to meet Faculty Candidates? The Meet the Faculty Candidate poster session is an annual poster session that provides a great opportunity for faculty, recruiters, and Department Chairs to speak directly with current graduate students and postdoctoral researchers who are seeking faculty positions. This year we are very excited to announce that it will be our biggest poster session ever, with 280 candidates and counting. The Computing and Systems Technology Division of AIChE is proud to present select rapid fire slides and posters from the 2016 AIChE Annual Meeting.